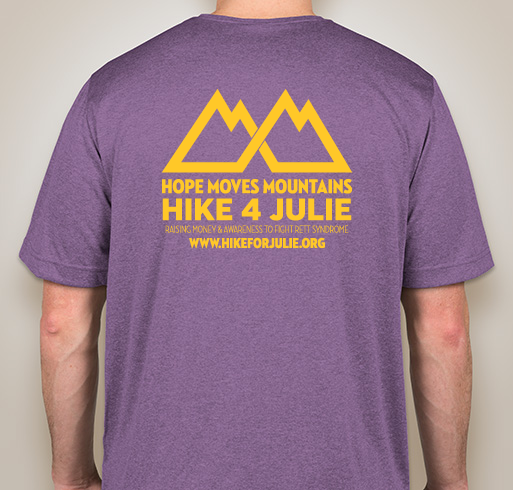 Buy a shirt to raise money and awareness for Rett Syndrome and the Hike for Julie! 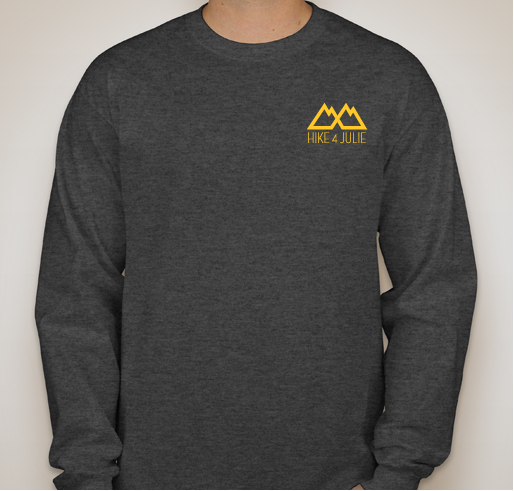 All funds raised will go directly to Children's of Alabama . 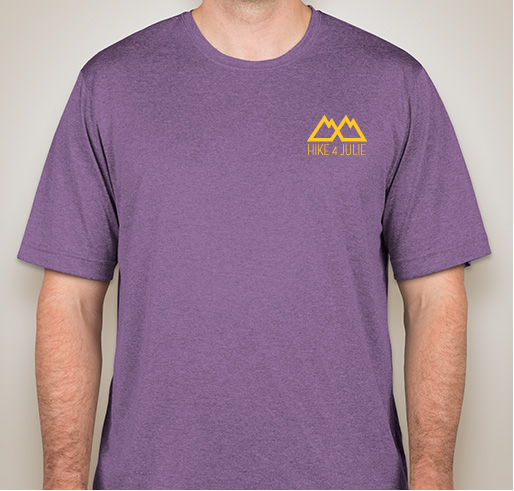 This booster will benefit Children's of Alabama and the Suki Foundation! In 2014, Henry Fisher decided to make a difference in someone else's life. 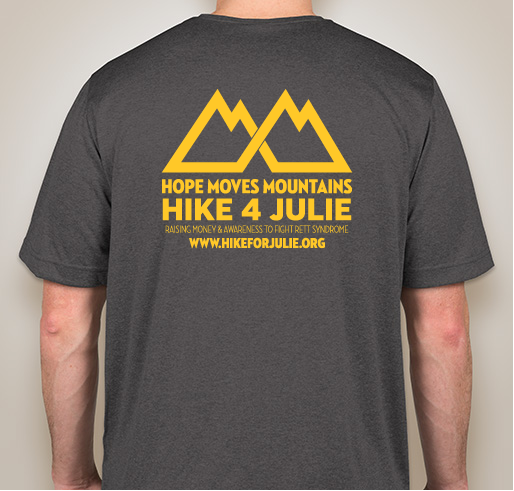 He decided to hike the Appalachian Trail (AT) in honor of Julie Grace Carroll, a then 4-year old girl from Pell City, Alabama, battling Rett Syndrome. Henry along with his son, Bennett Fisher, hiked-thru the entire 2,189 miles in 2015 to raise awareness, support and funds for research of Rett Syndrome. They raised almost $25,000! Little did they know, but this father-son duo paved the way for something bigger! Now Bennett (trail name Jolly) is ready to hike again. 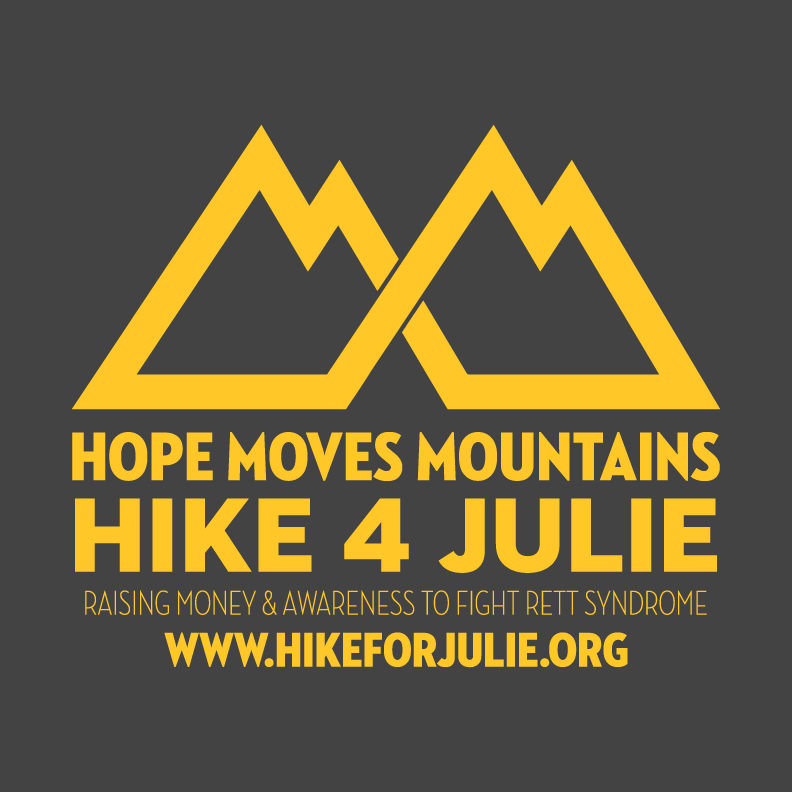 He and William Wells (Cola) will tackle the Pacific Crest Trail (PCT); 2,650 miles of grueling terrain all for Julie Grace and her sisters in Rett that are battling this debilitating disorder. They will leave from Mexico the first week of May. May 9th is Julie Grace’s 4th year anniversary of her diagnosis. By her “D-day”, the guys will be well on their way. 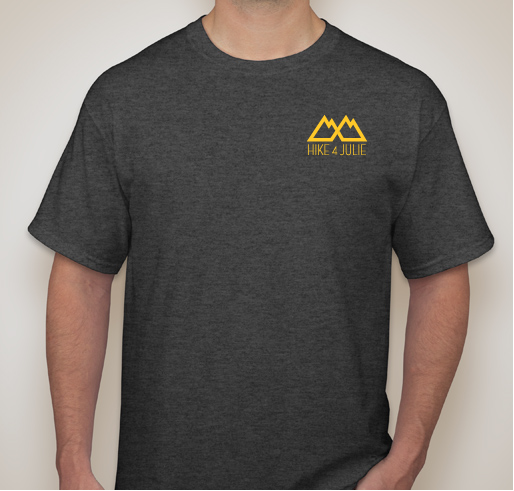 They plan to finish the thru-hike of the PCT in an astounding 100 days! 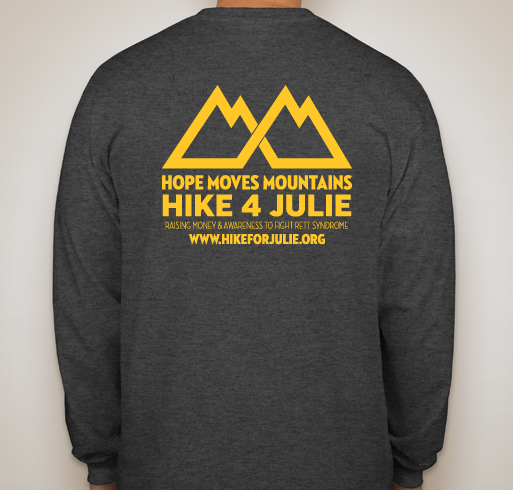 Julie’s Army of Hope is teaming up with the Suki Foundation benefitting Children’s Hospital of Alabama and the University of Alabama at Birmingham Department of Pediatrics in supporting the Sarah Katherine Bateh Endowed Professorship in Rett Syndrome. Alan Percy, M.D., professor and director of UAB’s Rett syndrome clinic at Children’s, is considered one of the world’s leading experts on this unique developmental disorder. It affects one in every 10,000 female births worldwide. Rett syndrome causes severe cognitive impairment, including loss of communication and motor skills, reduced growth and unusual breathing patterns. Percy is also a national leader in pediatric neurology and genetics, and highly regarded as a clinician and research scientist. Working with genetic researcher Huda Y. Zogbhi, M.D., Percy diagnosed the first confirmed case of Rett syndrome in the United States in 1983. 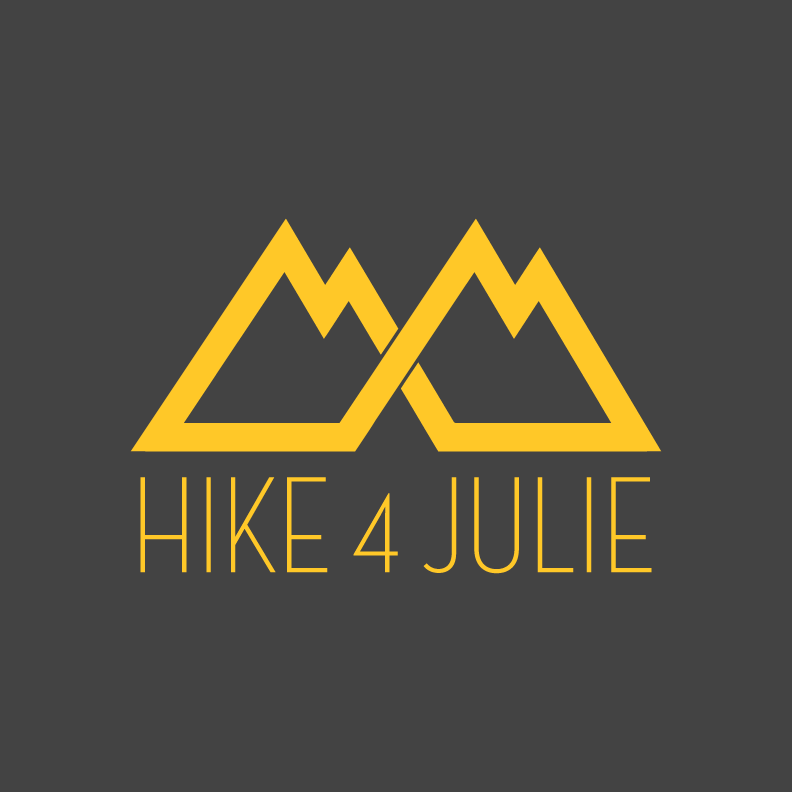 Donations during the Hike for Julie 2 will be donated to the Suki Foundation to support the future holder of this position. 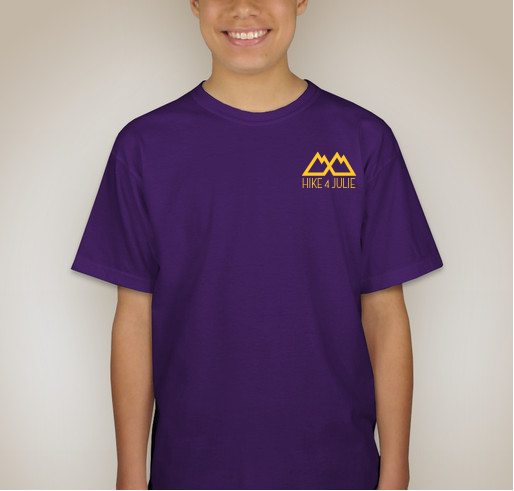 Families affected by Rett Syndrome worldwide along with local news media and organizations, friends and family have rallied behind these amazing young men in their goal both in the first hike and now on this continued quest for a cure. More needs to be done to help find a cure. Julie Grace is a friends daughter. Lifelong friends with Bennett aka Jolly!! 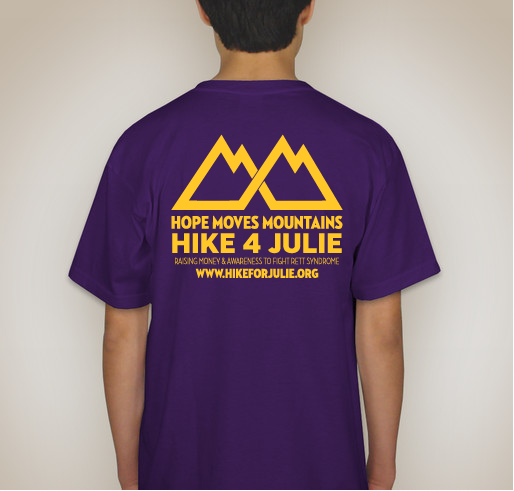 To support Julie and Melanie and family!! Thank you Cola and Jolly for continued efforts in raising awareness for Rett. 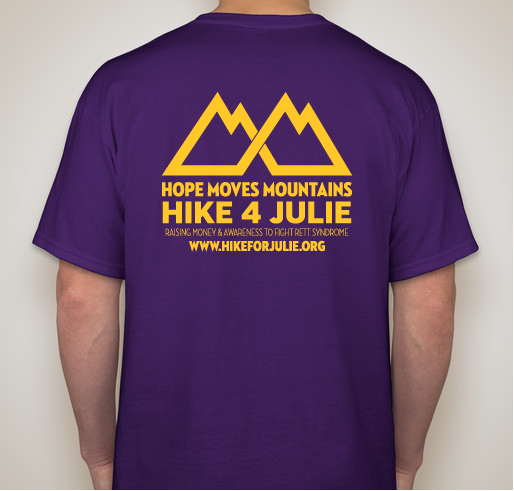 Share Why You Support "Hike for Julie"